TMW is today actively oriented towards its clients and resolving their liquid waste treatment problems, however without forgetting its core identity as a research and development company. Aggressive industrial liquid waste treatment. 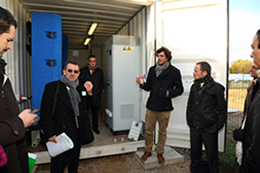 AMI N°1, financed by TOTAL & the ADEME (European agency for the environment and energy control). This program was created in order to validate the MHD technology is relevant and energy efficient for sea water desalination to produce drinking water. METAL WATER :Financed by the European commission through the EACI (European Agency for Competitiveness and Innovation). The goal was to qualify and validate the MHD technology could treat liquid waste coming from the metal surface treatment industry. TMW was coordinating this collaborative project with two engineering companies: Prosoft (FR) and Microbac (UK) as well as two industrial partners: Spi Aéro (FR) and Almit (UK). 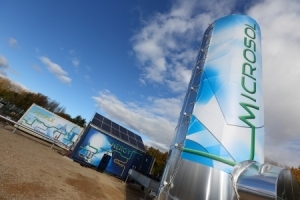 MICROSOL, financed by the ADEME through its program “Investissement d’Avenir” (Future Investments) and coordinated by Schneider, this program was addressing the conception of liquid waste concentration installation powered by solar power micro plants. The goal was to give a technical and economical answer to remote areas without electricity. TMW was in charge of the water production system, essential for populations to settle and ensure life. 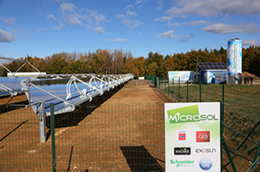 An AQUASTILL 2000 equipment was implemented and paired with the solar power plant. ECOWAMA: financed by the European commission, this was a collaborative project coordinated by the Fraunhofer (German research laboratory) and continuing the METAL WATER program. GEPPI:Standing for “Grand Echangeurs à Plaques Plastiques pour l’Industrie” (Large Industrial Plastic Plates Exchanger) this program helped TMW to conceive a plastic plates heat exchanger specifically designed for energy recovery in aggressive and corrosive environments. Even if TMW is today working on the industrial market with its different products and solutions, the company and its collaborators are pursuing their research and development work by applying to new programs especially overseas (Kuwait, Singapore). The goal is now to insure the company’s growth at an international level. TMW has brought to light its scientific and technical expertise thanks to these programs and confirmed it by several patents deposit. All projects have also given the company an exposure on the industrial market. TMW is now implementing in industrial environments what has been developed in a research and development context.